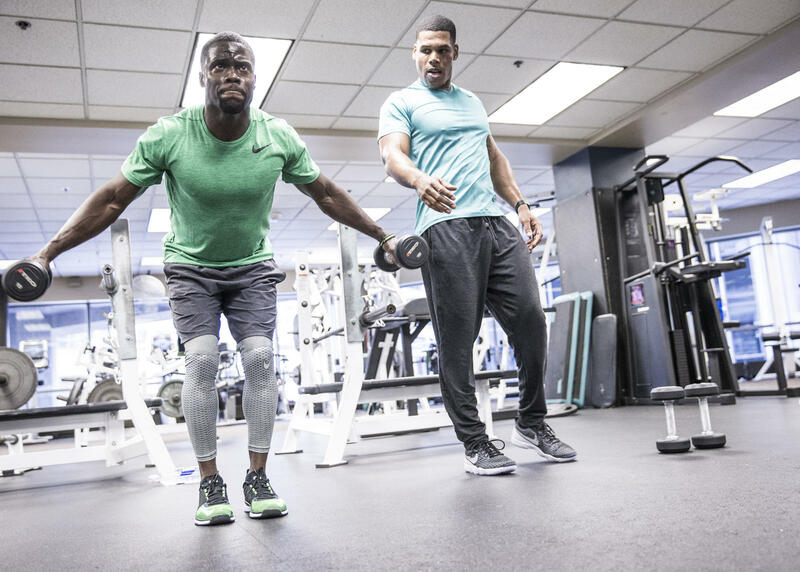 In this WednesdayWorkout, we focus on comedian and actor Kevin Hart and how the fitness fanatic stays in incredible shape! Hart is obsessed with training and he workouts out seven days a week. The dedicated actor has even been known to train on a plane, doing 500 sit-ups and push-ups in the sky to make sure he doesn’t miss a session! His workout aims to build his upper body strength and Hart regularly performs exercises through circuits. Circuits build muscle as well as get your heartrate up, meaning you can increase muscle and decrease fat in a short workout. Kevin Hart is in incredible shape due to his strict workout routine. It’s vital to remember due to this routine, his fitness levels are particularly high meaning he trains at a very high intensity. Therefore, for people starting at a lower level its important to build up your fitness and strength – beginning at lower reps and weights to avoid injury.